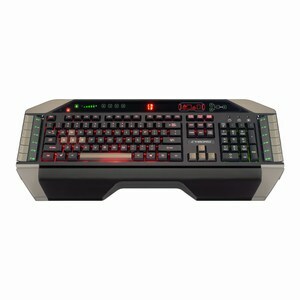 Unique, sturdy, and distinctly next-gen, the Mad Catz V.7 Gaming Keyboard is a modern tool designed for gaming dominance. With keys which strike a perfect balance between durability and nimble functionality, you'll get a continual impression of high quality. When performance is essential, customization is vital, and losing is not an option, only Mad Catz brings the power you crave.